Celgene's Patent Fortress Protects Revlimid, Thalomid : Shots - Health News Celgene Corp. has thwarted rival drugmakers eager to make cheaper versions of medicines for a form of blood cancer. Now administration officials are criticizing practices they say hold generics back. By the time David Mitchell started taking Revlimid in November 2010, Celgene had bumped the price up to about $8,000 a month. When he took his last month's worth of pills in April 2016, the sticker price had reached $10,691. By last March, the list price had reached $16,691. Revlimid appears to have caught the attention of Health and Human Services Secretary Alex Azar, who used it as an example Wednesday — without naming it outright — of how some drug's prices rise with impunity. He said the copay for the average senior taking the drug rose from $115 to about $690 per month in the last year. Celgene can keep raising the price of Revlimid because the drug has no competition. It's been around for more than a decade and its original patent expires next year. But today it looks like another four years could pass with no generic competitor to Revlimid. "Prices like this are bad for patients," said Mitchell, who last year founded the nonprofit advocacy group Patients for Affordable Drugs. "They hurt patients." Celgene has kept generic competition at bay by constructing an almost impenetrable fortress of patents and grants of market exclusivity around Revlimid, and its sister drug Thalomid, while also taking steps to ensure that generic competitors can't get their hands on enough of the drugs to develop viable alternatives. "By preventing generic entry, Celgene has been able to continue reaping as much as $170 to $310 per dose for Thalomid and $430 per dose for Revlimid, or more than $200 million annually for Thalomid and $4 billion annually for Revlimid," said a 2014 lawsuit by the generic drugmaker Mylan. Revlimid brought in $8.1 billion — or 63 percent — of Celgene's revenue in 2017. Those numbers are remarkable because both Revlimid and Thalomid are derived from a decades-old drug, thalidomide, that was once sold over the counter in Europe before it was pulled from the market. Celgene declined several requests for interviews for this story and instead shared some documents and public comments it had filed to the Food and Drug Administration. Starting in the late 1950s, thalidomide was prescribed for morning sickness and as a sedative. The drug was banned in 1962 after causing birth defects. New Jersey-based Celgene Corp. won FDA approval to use the drug against a painful side-effect of leprosy and later to treat multiple myeloma. The company's actions around these two related medications is a case study in how pharmaceutical companies use legal tactics to thwart competition in a way that adds to the problem of rising drug prices. Most big drug companies use the same strategy. It's variously called "lifecycle management" and "evergreening." "One of the barriers to competition that concerns me the most is when companies game the system by taking advantage of certain rules and laws," FDA Commissioner Scott Gottlieb said in early May. "They exploit loopholes in our system to delay generic entry. In these ways, they extend a drug's monopoly beyond what Congress intended." Gottlieb has announced a series of initiatives the FDA is taking to try to limit what companies like Celgene can do to thwart competition for years. "The issue is how long does that monopoly last," Gottlieb said in a briefing with reporters Tuesday. "It shouldn't last five years. There should be product competition behind that." Revlimid's legal monopoly is now in year 14. Here's how Celgene did it. Thalomid is Celgene's brand name for thalidomide, which hit the market in Europe in the late 1950s as a sort of miracle drug. Revlimid is a close chemical relative. Back then, thalidomide was prescribed as a sedative and as a treatment for asthma, hypertension and migraines, among other conditions. It was also marketed to pregnant women to treat morning sickness. It was considered so safe that in Germany, it was available without a prescription. But just a few years later it became clear this wonder drug was, in reality, wildly dangerous. It turned out to cause severe birth defects. Thousands of babies were born in Europe with flipper-like limbs. Thalidomide was pulled off the market in Europe and elsewhere and was never approved for sale by the FDA in the United States. The drug was relegated for decades to textbooks as a cautionary tale about lax drug regulation and not much more. Then, in the early 1990s, AIDS researchers found that it boosted a part of the immune system, based on earlier work that suggested a role for thalidomide in leprosy. A few years after Thalomid hit the market, Celgene altered it a bit by removing an oxygen atom and adding a nitrogen atom, creating a new amino group. The company called the new drug Revlimid. In 2006, Celgene was able to expand the market for Thalomid — and later Revlimid — by winning "orphan drug" approval to sell it as one of the only drugs that could slow the progress of multiple myeloma, a blood cancer that strikes about 30,000 people a year in the U.S. The orphan drug designation gave the company special tax incentives and exclusive rights to the market Thalomid for seven years. In many respects, Thalomid and Revlimid can be considered perfect examples of the U.S. pharmaceutical research system at work: An old drug that was rotting on the shelf was revived for new, useful purposes. In fact, the U.S. patent and drug-approval systems are set up specifically to encourage and reward this kind of innovation. Companies that develop new drugs are awarded a monopoly for a handful of years to profit from their invention. 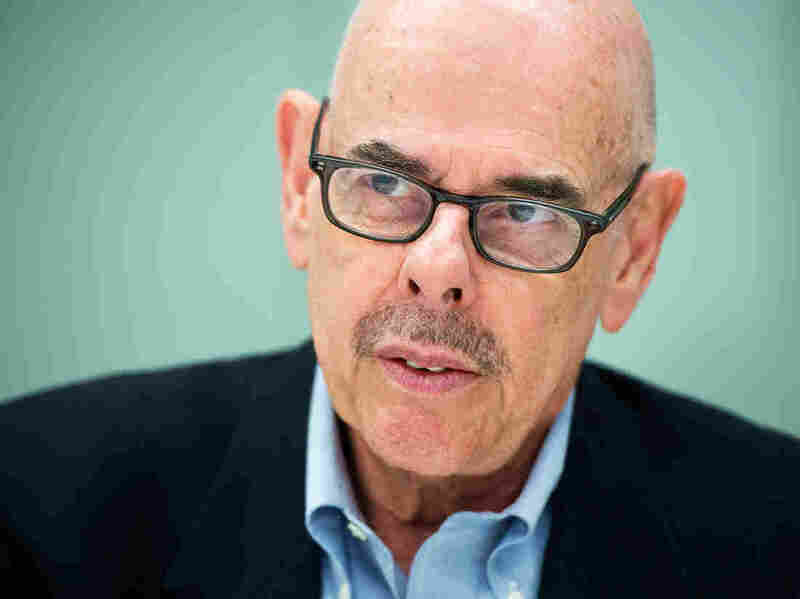 "We were trying to achieve a balance between competition and incentives," said former Rep. Henry Waxman, a Democrat, who wrote the law along with Republican Sen. Orrin Hatch of Utah. The law defines how brand-name and generic drugs get approved. "We wanted to give incentives for new drug breakthroughs," he told Shots, "and for the development of drugs for people with rare diseases." A patent typically protects new technology for as many as 20 years. But since it sometimes can take that long — or even longer — to bring a new medication to market, the FDA provides an additional incentive. "We were trying to achieve a balance between competition and incentives" said former Rep. Henry Waxman, D-Calif., of the law that became known as Hatch-Waxman Act. Once a new drug is approved, or, as in the case of thalidomide an old drug is approved to treat a new malady, the government gives a drugmaker exclusive access to the market for up to seven years. But the patent and exclusivity periods are supposed to expire. Then, the theory goes, competition takes over and prices fall. That hasn't happened in this case. Celgene has used multiple tactics — all legal — to make it nearly impossible for a generic drug to reach the market. These techniques include obtaining multiple patents — which some critics call "frivolous" — on the drugs and their distribution systems. They also include layering orphan drug approvals in a way that extends exclusive market rights, limiting potential generic competitors' access to samples of the drug, and making deals with generic companies for limited market access. "They're building these protections around the drugs so if a company comes in and tries to do a generic, even with an old drug, they're going to have a very hard time," said Kristi Martin, a vice president at Waxman Strategies, a consulting firm founded by Waxman. 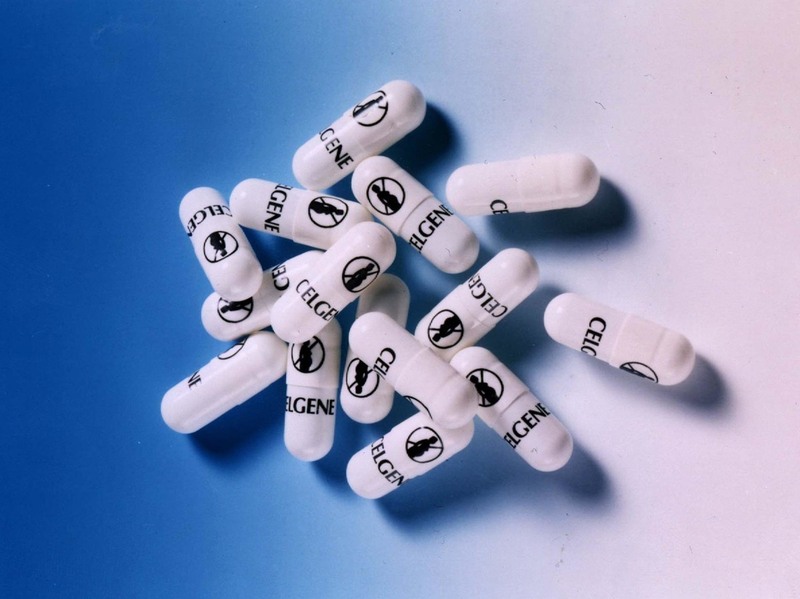 Since thalidomide is such an old drug, Celgene didn't own any patents on the medication itself. But it did gain exclusive access to sell the drug, first for leprosy and then for multiple myeloma. On top of that, Celgene patented Thalomid's distribution system — known in the industry as a Risk Evaluation and Mitigation System, or REMS. A REMS is required by the FDA for potentially dangerous drugs and Celgene's system is specifically designed to prevent women who are pregnant, or might become pregnant, from taking Thalomid and repeating the tragedy of the 1960s. Celgene has been granted 14 patents for its REMS plan. Under FDA rules, if a generic drugmaker wants to market thalidomide, it has to use the same REMS system as Celgene's. That means it would have to negotiate a deal with Celgene, sue to invalidate those patents or wait for them to expire. Several companies, including Mylan, have sued, claiming the distribution system shouldn't have been granted patents in the first place because it's not unique. Gottlieb said Tuesday that the FDA is looking to relax the requirement that generic companies use the same REMS program to cut down on the delays. Meanwhile, Celgene has gone even further to maximize the value of thalidomide. Before its exclusive rights to market the drug for multiple myeloma expired — and before a generic drugmaker could put a competitor on the market — the company tweaked Thalomid to turn it into Revlimid, which also treats multiple myeloma, but with fewer side effects. It was first approved by the FDA in 2006, according to the company's website. With Revlimid, Celgene got more years of exclusive market access, and more more years of patent protection. The clock for generic competition started again. And most multiple myeloma patients were moved from Thalomid to Revlimid. 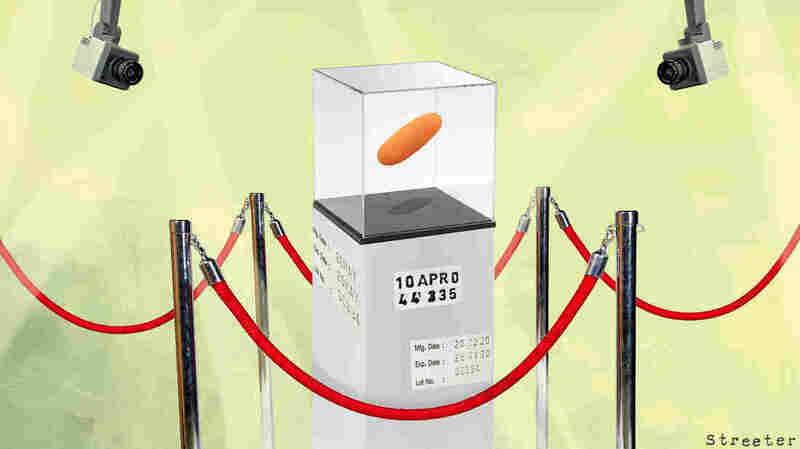 Celgene has 27 patents for Revlimid listed in the FDA's Orange Book, which is an exhaustive database of approved drugs and their patent status. Only four are listed as patents on the drug's substance, or its active ingredient. Five are "drug product" patents which means they pertain to things such as the drug's coating, according to Dr. Aaron Kesselheim, a professor of medicine at Harvard University who has published many research papers on drug pricing and patents. Most of the remaining patents are on Revlimid's distribution system. On top of that, the drug has layers of market exclusivities granted by the FDA. The exclusivity for multiple myeloma expired in February. But the FDA granted years of additional exclusivity for three subtypes of blood cancer that stretch to 2022, thwarting competition. And the company is seeking approval for five additional indications that could extend market monopolies for those illnesses even further. Mitchell, of Patients for Affordable Drugs, said that if not for Celgene's blockade, a generic version of Revlimid should have hit the market years ago because the drug's patents would have been successfully challenged. Several companies have challenged the underlying Revlimid patents as "obvious," he said. "In other words, the original drug-substance patent will not hold up." At least five companies are involved in litigation trying to break through the thicket of Celgene patents on Thalomid and Revlimid. On top of the piles of patents and grants of market exclusivity, Celgene is taking additional steps to block generic competition — even after the patents expire — by making it nearly impossible for competitors to get their hands on adequate supplies of the medications to do comparison tests, according to lawsuits filed by generic manufacturers who have tried to obtain the drugs. It's a tactic the FDA has seen many times. "The gaming that I see is where people are blocking generic entry by restricting access to the doses," Gottlieb said Tuesday. "It's a pervasive problem." To bring a generic version of a brand-name drug to market, manufacturers must prove their medication is the same chemical compound and is absorbed in the same way, at the same rate. So the company needs a supply of the brand-name drug — Gottlieb estimates between 2,000 and 5,000 doses — to do the study. "They can't even get the drugs in order to run the study that the government says they need to run. That's a real problem," Gottlieb told Shots. The FDA reported last year that it had received 150 complaints from generic drugmakers that branded companies were using the REMS system to block them from getting the medication they need to perform bioequivalence studies. Gottlieb, in a speech last fall, appeared to have had enough. "My message is this: End the shenanigans," he said. On Thursday, the FDA launched a website that names companies accused by generic drugmakers of blocking them from getting the drug samples they need to test their medications against their brand-name counterparts. Celgene had 31 complaints related to three drugs, more than any other company on the list. Members of Congress are also frustrated. "It's a totally anti-consumer tactic," said Sen. Patrick Leahy, D-Vt. "If we're ever going to get medical costs under control in the U.S. we have got to stop this kind of anti-competitive practice." Leahy has introduced legislation to prevent companies from using REMS programs as an excuse to refuse to sell drug samples to generic manufacturers, but the bill has been pending in the Senate for more than a year. Celgene denies withholding medications from competitors. "Celgene is willing to make Revlimid ... and Thalomid available to generic manufacturers for bioequivalence testing, and Celgene consistently offers and has sold samples for the purpose of such testing," the company wrote in a document it shared with NPR. A spokesman declined to answer specific questions on the topic. Mylan's 2014 lawsuit accuses Celgene of using its REMS programs to restrain trade and maintain a monopoly by refusing to sell it samples of Thalomid and Revlimid. Lannett Company Inc., also sued with similar accusations, but eventually settled. And Dr. Reddy's Laboratories Ltd., another generic drugmaker, accused Celgene in a 2009 citizen petition to the FDA of preventing it from obtaining Revlimid samples as well. "Such efforts are nothing more than crude attempts to delay or block generic competition and clearly violate the REMS anti-gaming statutory provision," the company wrote. Celgene, in its response, argued that the FDA has no authority to force it to sell its drugs to competitors, and that its liability is too high if the other companies don't take adequate safety measures. The FDA has told Celgene that it can provide samples of Thalomid and Revlimid to generic manufacturers without violating the agency's safety requirements. But the agency doesn't have the power to force it to do so, and the companies said Celgene has continued to refuse. Celgene used yet another tactic to block Barr Laboratories, Inc., from competing, Barr said in a lawsuit. Barr claims it set out in 2004 to develop a generic version of Thalomid, and contracted with the French company Seratec SARL to buy the medication's active ingredient. The following year, Barr said in the suit, it was ready to file a new drug application with the FDA when Celgene stepped in and contracted with Seratec to buy the active ingredient on condition it didn't sell to any other supplier. "Due to Celgene's and Seratec's actions, Barr Laboratories was forced to perform costly new biostudies and validation testing," the lawsuit said. That meant at least an additional year delay before Barr was able to file for approval. In what normally should be good news for patients, Celgene said generics are on the way for both drugs. Spokesman Brian Gill points to settlement agreements the company has struck with generic manufacturers to begin marketing Thalomid and Revlimid in coming years. Lannett agreed to drop its patent infringement suit in exchange for a license to sell Thalomid starting in August 2019, "under certain circumstances" which aren't detailed. And Natco Pharma, Ltd., struck a deal with Celgene to drop its patent litigation in exchange for Celgene allowing it to introduce a generic competitor to Revlimid in 2022 — five years before its last patent expires. That agreement limits Natco's sales to "a mid-single-digit percentage" of the drug's U.S. sales in the first year, a share that will gradually increase through March 2025. "The deal gives Natco no incentive to lower its price," said Mitchell of Patients for Affordable Drugs. That's because the company can't gain additional market share by undercutting Celgene on price. The agreements, Mitchell said, are similar to deals known as "pay-for-delay" agreements where a brand-name drugmaker pays a generic company to keep its drug off the market. "They cut a deal that will keep the price high," Mitchell said. An earlier version of this report said that David Mitchell believed a generic version of Revlimid could have been on the market in February. It is more accurate to say Mitchell believed a generic version could have been on the market well before this year.